Pre-exposure prophylaxis (PrEP) is a global milestone in the prevention of HIV infection among MSM. By receiving antiretroviral drugs before potentially dangerous sexual contact, a person significantly reduces the risk of HIV infection. Pre-exposure prophylaxis is included in the list of services recommended by WHO and UNAIDS. In Russia such programs are not carried out, but LaSky employees are sure that introduction of PrEP is only a matter of time. 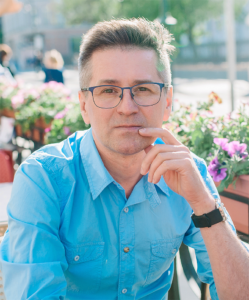 LaSky has an extensive client base and holds a solid reputation across the communities, enjoys working relationships with the Moscow Regional AIDS Center and has experience in conducting research. Thus, as soon as the PrEP pilot programs are launched, LaSky will be able to initiate PrEP among its clients as well. At this stage, the primary role of LaSky is to keep abreast of the latest research on the efficacy of PrEP in countries with a concentrated HIV epidemic among MSM, to understand at what stage the decision to initiate PrEP in Russia is at the moment and to communicate this information to the community. Based on the successful experience of HIV prevention among MSM, LaSky explores a new area of its activities: outreach, counselling, testing and access to HIV treatment for the injection drug users. LaSky also plans to continue its work commenced in 2017 to organize access to Hepatitis C treatment. However, the primary goal of LaSky remains to ensure stable funding for HIV prevention services among MSM. LaSky is developing cooperation projects with new Russian and international initiatives, but in the situation when after the closure of the Global Fund program in Russia, there is a threat of reduction of the activities or even full cessation of the program. Then, most importantly, what is needed for MSM is to preserve all the services, all the facilities that exist now. That is because they demonstrated their effectiveness and reliability. We have a lot of established clients who regularly take tests and have been monitoring their health for more than two years. It is imperative that these services remain available. It is because the clients are feeling exactly the same way as we do when they hear that the project is coming to an end, that we have no guaranteed financing..